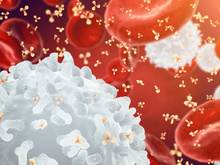 Pegfilgrastim, a long-acting granulocyte-colony stimulating factor (G-CSF) therapy, has become a key product for the prophylaxis and treatment of febrile neutropenia, and biosimilar options have the potential to reduce the high cost of pegfilgrastim therapy. At the European Society for Medical Oncology 2018 Congress, held October 19-23, 2018, in Munich, Germany, 2 research teams presented on studies assessing proposed pegfilgrastim biosimilar products. Anemia is a common complication for patients who are undergoing chemotherapy, and one that has implications for patients’ quality of life, especially with respect to fatigue. During the European Society for Medical Oncology 2018 Congress, held October 19-23, 2018, in Munich, Germany, Jérôme Desrame, MD, reported on results of the CIROCO study, which assessed fatigue in patients with chemotherapy-induced anemia who were treated with biosimilar epoetin alfa. The European Society for Medical Oncology (ESMO) 2018 Congress, held October 19-23, 2018, in Munich, Germany, featured multiple presentations on biosimilars in oncology, all of which are contributing to the body of evidence that points to the safety and efficacy of these products. Despite such reassuring data for biosimilars, however, many stakeholders have noted that lack of provider education on biosimilars is holding back progress with uptake.